Port Harcourt may be known as the capital of bole & fish but it is also the capital and largest city in Rivers State. It was originally built in 1912 to export coal but between the dawning greenery, sandy beaches, and winding creeks and rivers, Port Harcourt quickly transformed into a vibrant city, rich in culture and people, with a genuine love for life. As we all know, with great living comes great food, and Port Harcourt was no different. As far back as can be remembered, before oil exploration and ‘freedom-fighting’ that is, residents of rivers state enjoyed the little pleasures of living ‘freely’ off the land. Plantain grew incessantly in the swamps, palm oil, then the main revenue source of the country grew uninhibited, and fish…well, it’s called rivers state for a reason. 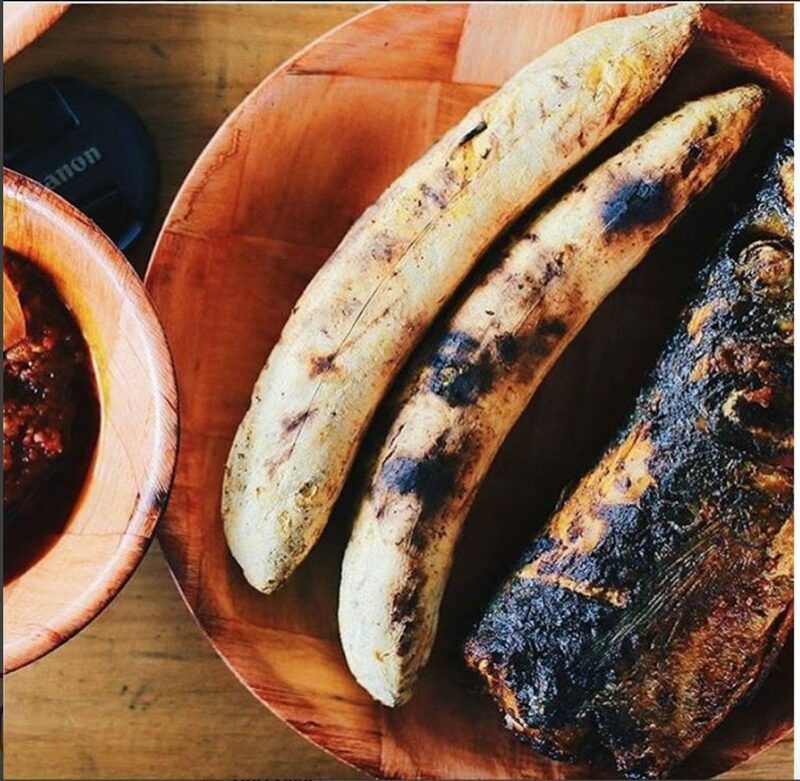 Naturally, the people took advantage and the simple yet quintessential combination of roasted plantain and perfectly seasoned mackerel enveloped in a mouthwatering peppery palm oil sauce, also known as bole and fish, was birthed. 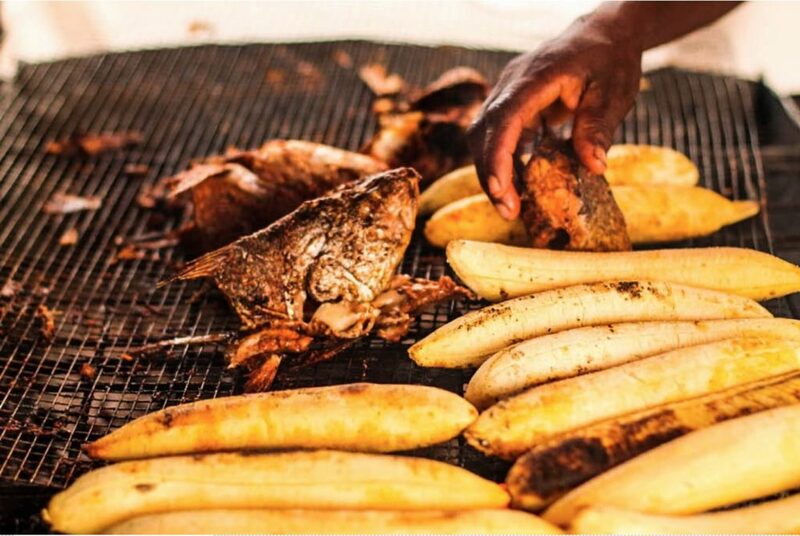 Bole refers to the roasted plantains and the fish which is usually mackerel is always inexpensive. Today, every street corner from Abuloma to Elekahia boasts colourful umbrellas shielding ankara-clad women engulfed in the pungent scent of smoked fish and sweet palm oil. The beautiful contrast of white flesh against the blackened mackerel skin, the vibrant red pepper sauce perfectly binds together with just enough heat and spice to make a grown man cry. Within only a few minutes of waiting patiently for ones expectations to be surpassed, the richness and fullness of this very popular road-side meal can be enjoyed, complete with newspaper wrapping and black nylon bag for added safe keeping. Port Harcourt is THE capital of bole and fish. History, culture and numerous satisfied stomachs can testify to this. However, should you still need proof, next time you are in the city, be sure to include a quick stop at D-Line and experience first-handedly, the authentic and flavoursome dish served from the Headquarters of Bole. GTBank Food & Drink Fair is a an annual food exhibition and sales event aimed at projecting the diverse angles of the food industry. Subscribe. Stay up to date. Sign up to be the first to hear about annoucenments, exclusive offers, news and general updates.